Lumbar Sacral Support, Back Support, Pain Relief, FLA Orthopedics, BSN Medical, 7279100, 7279101, 7279102, 7279103, 7279104, 7279104, 727915, 7279106, 7279107, 7279200, 7279201, 7279202, 7279203, 7279204, 7279205, 7279205, 7279206, 7279207. Lumbar Sacral Support, manufactured by FLA Orthopedics, is a back brace, made by women, for women. You may select this product to assist with alleviating pain and giving support in the lower region of the back. Anatomically designed for the female form, you can be certain that this will give you excellent support exactly where you need. In addition to giving unparalleled support, the Lumbar Sacral Support is made of a breathable and soft material that will keep you cool and comfortable, as this product wicks away moisture from your body. Featuring two unique and fashionable colors, rose and lavender, you can be pain free while remaining chic. Helping to alleviate lower back pain and discomfort, you will feel like a new woman using the Lumbar Sacral Support. For increased pain relief, check out our line of pain relief products. 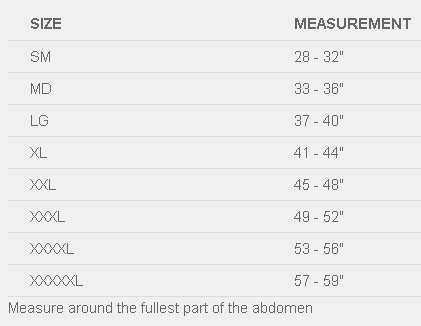 Please see the table below to find the correct size for you. Alleviates lower back pain and discomfort. Two unique and fashionable colors. Sizes: S, M, L, XL, 2 XL, 3 XL, 4 XL, 5 XL. Application: To alleviate lower back pain and discomfort; provide support. Product Numbers: 7279100, 7279101, 7279102, 7279103, 7279104, 7279104, 727915, 7279106, 7279107, 7279200, 7279201, 7279202, 7279203, 7279204, 7279205, 7279205, 7279206, 7279207.
fullest part of the abdomen 28"-32" 33"-36" 37"-40" 41"-44" 45"-48" 49"-52" 53"-56" 57"-59"
There are a lot of products especially designed and created for women. Shoes, bags, jewelry, even mobile phones. Shouldn't the specific needs and desires of women for orthopedic products be considered as well? Yes, that's why FLA set a major focus not only on the function but also on thedesign of women's specific products. The result: the new FLA for women product range. The Lumbar Sacral Support stabilizes the lower back to help relieve pain and discomfort. It comes in fashionable colors with a low profile and specially designed to fit the female form, breathable soft materials, Velcro closures with thumb loops and removable back panel. The Lumbar Sacral Support is designed for women who live actively. The Posture Control Brace helps alleviate back pain and promotes good posture. It's available in fashionable colors with a low profile design. The back stays and shoulder straps are individually adjustable. It's made from breathable soft materials and features Velcro closures with thumb loops. The Posture Control Brace helps improve individual quality of life. 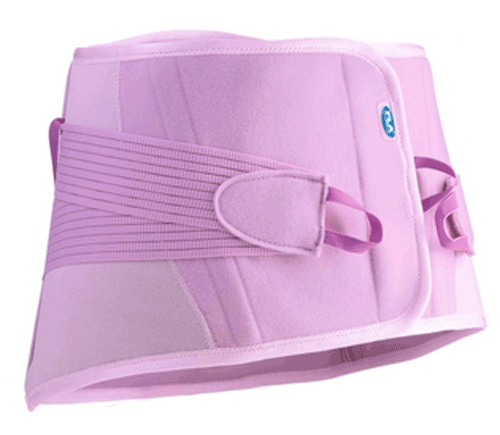 The Maternity Support Belt helps relieve back pain and discomfort associated with pregnancy. It comes in fashionable colors with a low profile design, breathable soft materials, Velcro closures with thumb loops, a removable back panel and an adjustable abdominal pad. 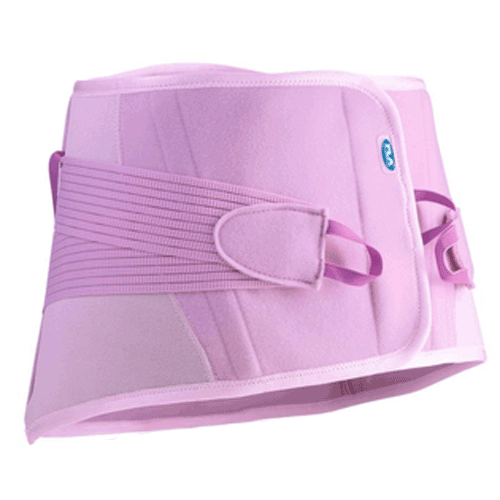 The Maternity Support Belt helps mom carry the baby more comfortably throughout the pregnancy. Less back pain, more comfort, and fashionable designs, FLA for women. Would this work well for an older woman that still likes to golf? The support does allow for some movement without having to readjust; however, it's best to speak with a medical professional before performing such an activity while wearing the support.